The M1917 Browning machine gun is a heavy machine gun used by the United States armed forces in World War I, World War II, Korea, and to a limited extent in Vietnam, and by other nations. 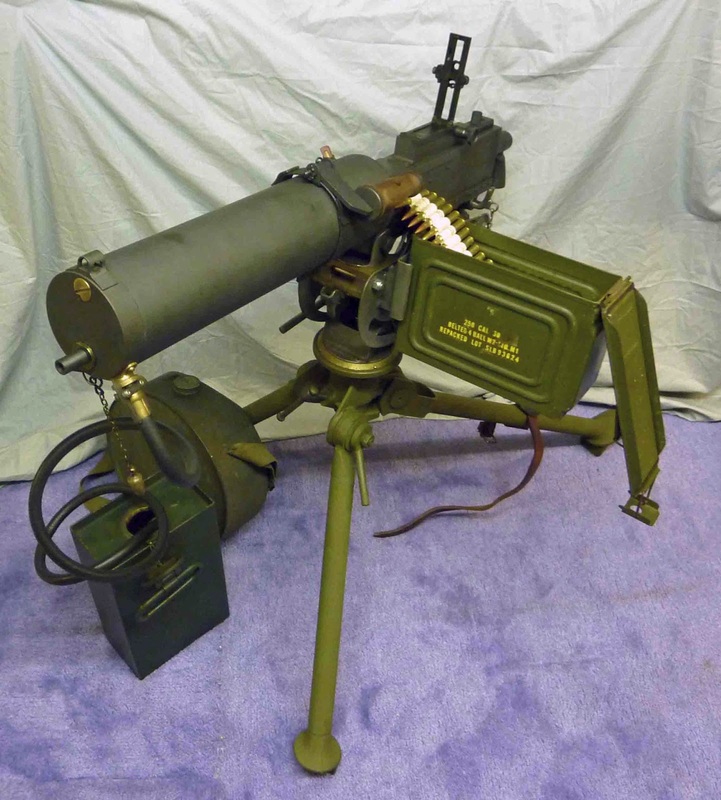 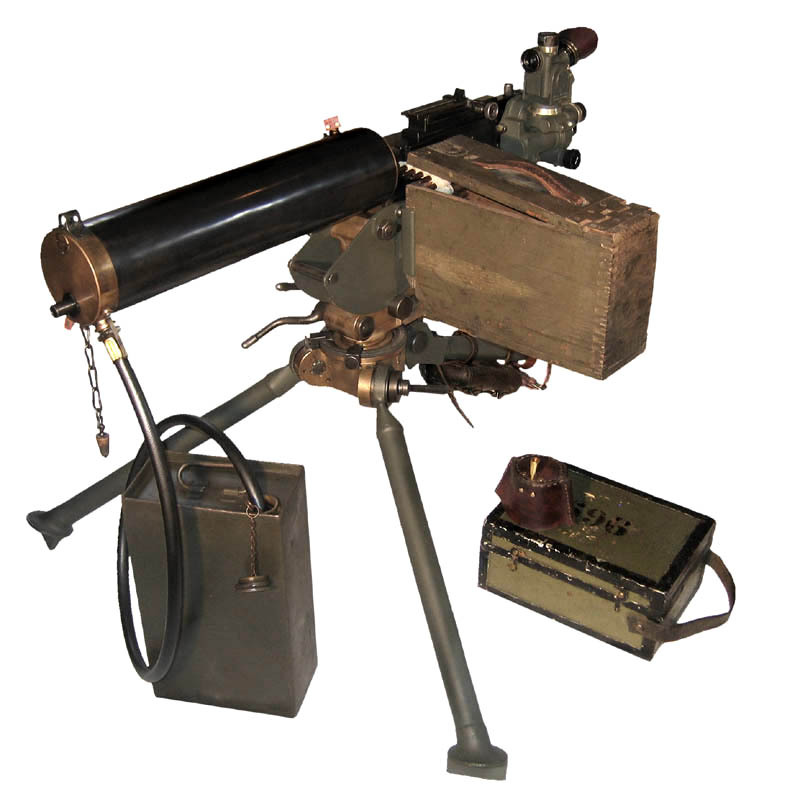 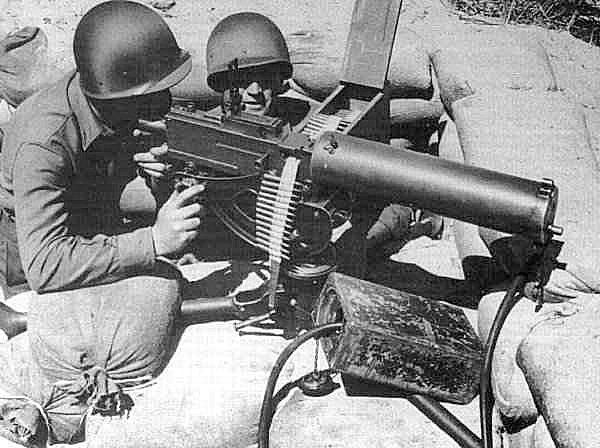 It was a belt-fed water-cooled machine gun that served alongside the much lighter air-cooled Browning M1919. 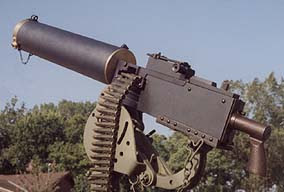 It was used at the battalion level, and often mounted on vehicles (such as a jeep). 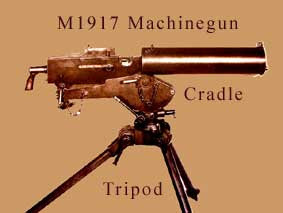 There were two main iterations of it: the M1917, which was used in World War I; and the M1917A1; which was used thereafter. 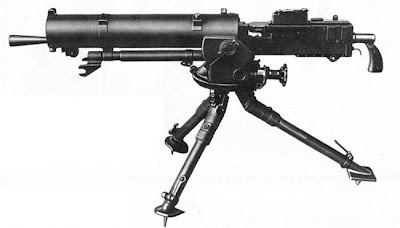 The M1917 was used on the ground and on some aircraft, and had a firing rate of 450 round/min; the M1917A1 had a firing rate of 450 to 600 round/min. In 1900, John Moses Browning filed a patent for a recoil powered automatic gun.Browning did not work on the gun again until 1910, when Browning built a water-cooled prototype of the 1901 weapon.Although the gun worked well, Browning improved the design slightly. 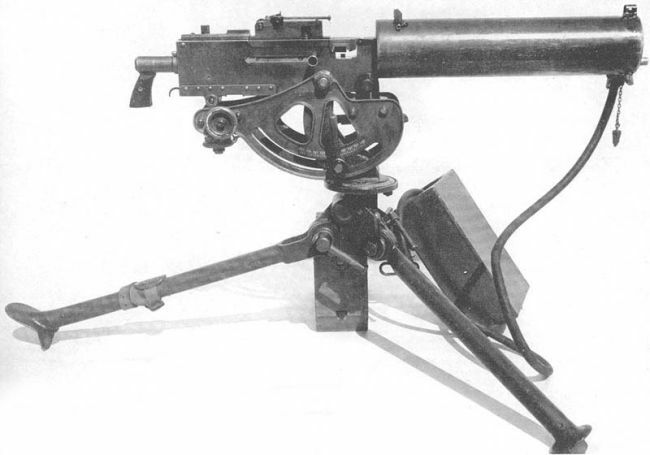 Browning replaced side ejection with bottom ejection, added a buffer for smoother operation, replaced the hammer with a two piece firing pin, and some other minor improvements.The basic design of the gun was still the 1900 design. 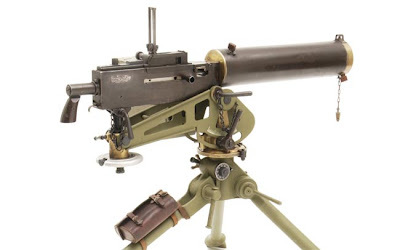 The Model 1917A1 was again used in the Second World War, and was primarily used with the M2 ball, tracer, and armor-piercing ammunition introduced just prior to the outbreak of hostilities. 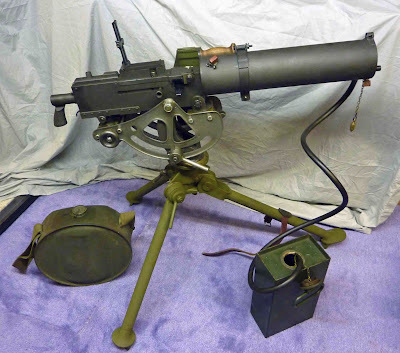 Some were supplied to the UK for use by the Home Guard since all production of the .303 Vickers were needed to resupply the equipment abandoned during the Fall of France. 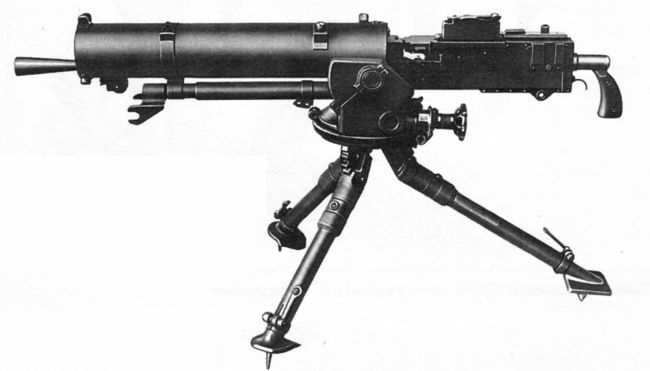 The M1917's weight and bulk meant it was generally employed as a fixed defense or battalion or regimental support weapon. 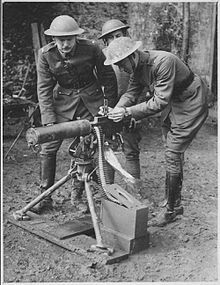 At the fierce battle of Momote Airstrip in the Admiralties, the US Army's 5th Cavalry machinegunners killed several hundred Japanese in one night using their M1917 Brownings; one gun was left in position after the battle as a memorial to the desperate struggle.